RCW Update - New match announced! Fresh off his successful debut in England, Dynamite Dan along with The Dynamite Doll will be facing "European Star" Kay Jutler. These two men faced off early this month in England and now they will face off for the first time on Canadian soil at RCW GOLDRUSH. RCW GOLDRUSH featuring former WWE/Current Ring of Honor Star Mike Mondo in action as he challenges current RCW Canadian Champion Wavell Starr for the title. These two individuals have an rivalry that dates back to their days in OVW when they were both competing for a spot in the WWE. These titans will clash once again on March 15th in Calgary! Tag Champions 8 Bit Bastards and Mid-Weight Champion Slammer will also be defending their titles in Calgary. Advance tickets are now on sale at the Legion front desk so make sure to get your today and not miss this amazing night of Live Professional Wrestling action that only RCW can offer to the great fans of Calgary. 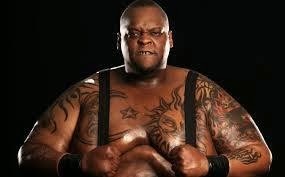 Real Canadian Wrestling is sadden to hear of the passing of Big Viscera. He was a big part of the Rise of Legend II tour and was a complete honor to have in RCW. Real Canadian Wrestling office and wrestlers send out our deepest thoughts and prayers to his wife and family.